A federal judge ordered the San Diego Unified School District on Tuesday to hand over evidence detailing its correspondence with the Council on American-Islamic Relations (CAIR) about the implementation of a controversial anti-Islamophobia bullying initiative at San Diego public schools. 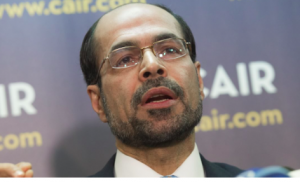 The development is the latest in a long-running saga concerning school officials in San Diego coordinating with CAIR, an American-Muslim civil rights and religious organization with known links to a number of anti-Israel groups such as the Muslim Brotherhood. The controversy began in April when the San Diego school district announced it was launching an anti-Islamophobia initiative to combat what it described as a vast and underreported epidemic of anti-Muslim bullying in the district’s schools. The multi-year anti-bullying plan, developed with assistance from CAIR, called for adding Muslim holidays to staff calendars, introducing new library materials on Muslim culture, encouraging Muslim-centered high school clubs, creating “safe spaces” for Muslim students and providing staff training about Muslim culture.